Not surprisingly, Canadians are increasingly tuned into social media. 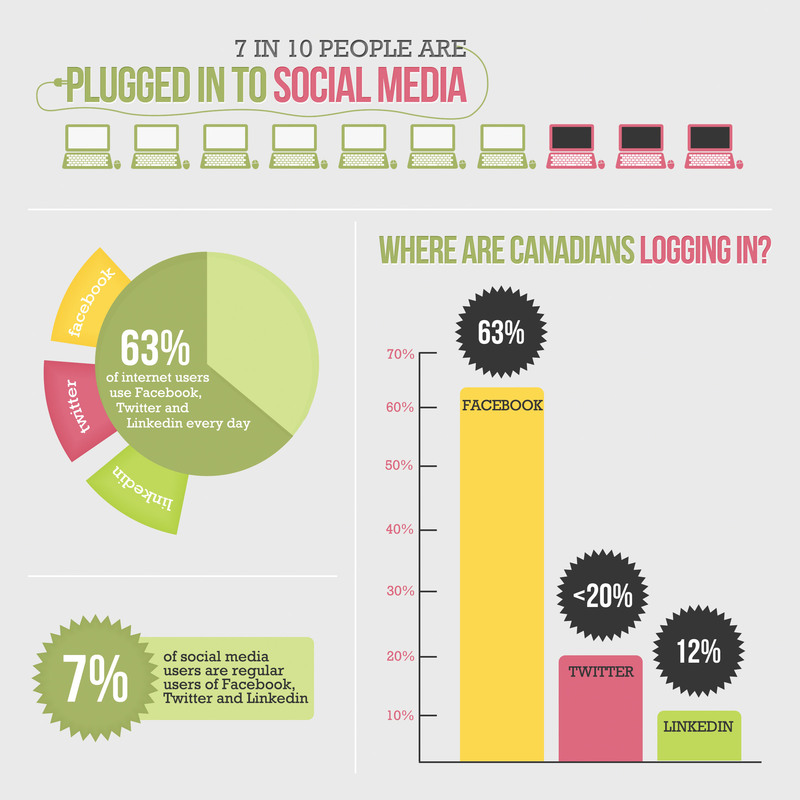 A recent report issued by the Media Technology Monitor, which involved the participation of over 4,000 Anglophone Canadians, has shown that two in three Canadians do not go a single day without checking into their social media feeds. This represents a six per cent increase in comparison with 2011 figures. Aimée Morrison, associate professor of English language and literature at the University of Waterloo, whose research focuses on digital culture, was not at all surprised by the findings of the study. “It may just be that I work in a university or that I live in Waterloo, which has such a high concentration of tech companies, but I pretty much don’t know anybody who isn’t on social media every day,” she said. With 63 per cent participation from internet users, Facebook was the most popular social media site. Twitter usage significantly increased from the ten per cent figure in 2011, with just under one in five people connected, but remained well under the widespread popularity attained by Facebook. Apart from its role in the professional working world, Morrison explained that social media has subsumed into the personal lives’ of everyday Canadians. “When people engage in social media they are in some ways doing the work of an autobiography, they are authoring stories of their own lives’ for the consumption of others. I’m looking at social media activities as a kind of autobiographical practice by everyday people,” she continued. In a culture that values quick and easy access to information, social media offers a faster way of getting things done.